Out of thousands of stocks that are currently traded on the market, it is difficult to identify those that will really generate strong returns. Hedge funds and institutional investors spend millions of dollars on analysts with MBAs and PhDs, who are industry experts and well connected to other industry and media insiders on top of that. Individual investors can piggyback the hedge funds employing these talents and can benefit from their vast resources and knowledge in that way. We analyze quarterly 13F filings of nearly 750 hedge funds and, by looking at the smart money sentiment that surrounds a stock, we can determine whether it has the potential to beat the market over the long-term. Therefore, let’s take a closer look at what smart money thinks about Leidos Holdings Inc (NYSE:LDOS). Leidos Holdings Inc (NYSE:LDOS) has seen a decrease in hedge fund sentiment recently. 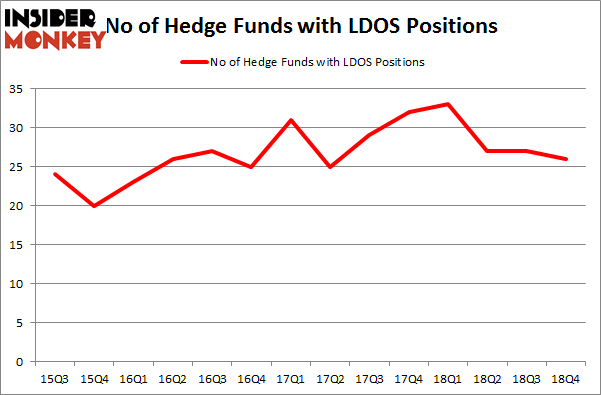 Our calculations also showed that LDOS isn’t among the 30 most popular stocks among hedge funds. In the eyes of most traders, hedge funds are perceived as underperforming, outdated financial tools of years past. While there are over 8000 funds with their doors open today, We look at the leaders of this group, about 750 funds. 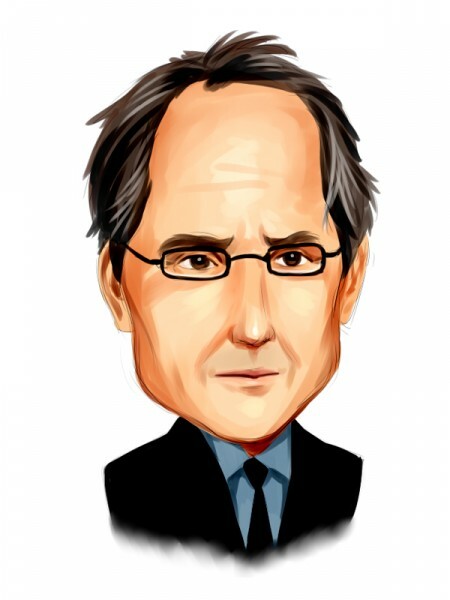 These money managers direct most of the hedge fund industry’s total capital, and by keeping an eye on their top stock picks, Insider Monkey has come up with several investment strategies that have historically outpaced Mr. Market. Insider Monkey’s flagship hedge fund strategy outstripped the S&P 500 index by nearly 5 percentage points per year since its inception in May 2014 through early November 2018. We were able to generate large returns even by identifying short candidates. Our portfolio of short stocks lost 27.5% since February 2017 (through March 12th) even though the market was up nearly 25% during the same period. We just shared a list of 6 short targets in our latest quarterly update and they are already down an average of 6% in less than a month. Let’s take a peek at the new hedge fund action regarding Leidos Holdings Inc (NYSE:LDOS). What does the smart money think about Leidos Holdings Inc (NYSE:LDOS)? At the end of the fourth quarter, a total of 26 of the hedge funds tracked by Insider Monkey held long positions in this stock, a change of -4% from one quarter earlier. By comparison, 33 hedge funds held shares or bullish call options in LDOS a year ago. So, let’s find out which hedge funds were among the top holders of the stock and which hedge funds were making big moves. Among these funds, Southpoint Capital Advisors held the most valuable stake in Leidos Holdings Inc (NYSE:LDOS), which was worth $158.2 million at the end of the third quarter. On the second spot was Samlyn Capital which amassed $38.7 million worth of shares. Moreover, Two Sigma Advisors, Lunia Capital, and D E Shaw were also bullish on Leidos Holdings Inc (NYSE:LDOS), allocating a large percentage of their portfolios to this stock. Judging by the fact that Leidos Holdings Inc (NYSE:LDOS) has faced declining sentiment from the entirety of the hedge funds we track, logic holds that there were a few fund managers who were dropping their entire stakes last quarter. Intriguingly, Stephen J. Errico’s Locust Wood Capital Advisers cut the biggest stake of all the hedgies followed by Insider Monkey, valued at close to $32.4 million in stock, and Steve Cohen’s Point72 Asset Management was right behind this move, as the fund dropped about $1.4 million worth. These moves are important to note, as total hedge fund interest fell by 1 funds last quarter. Let’s now take a look at hedge fund activity in other stocks – not necessarily in the same industry as Leidos Holdings Inc (NYSE:LDOS) but similarly valued. We will take a look at Packaging Corporation Of America (NYSE:PKG), Barrick Gold Corporation (NYSE:GOLD), Lear Corporation (NYSE:LEA), and Zions Bancorporation, National Association (NASDAQ:ZION). This group of stocks’ market caps resemble LDOS’s market cap. As you can see these stocks had an average of 30.5 hedge funds with bullish positions and the average amount invested in these stocks was $463 million. That figure was $330 million in LDOS’s case. Zions Bancorporation (NASDAQ:ZION) is the most popular stock in this table. On the other hand Randgold Resources Ltd. (NASDAQ:GOLD) is the least popular one with only 18 bullish hedge fund positions. Leidos Holdings Inc (NYSE:LDOS) is not the least popular stock in this group but hedge fund interest is still below average. This is a slightly negative signal and we’d rather spend our time researching stocks that hedge funds are piling on. Our calculations showed that top 15 most popular stocks among hedge funds returned 21.3% through April 8th and outperformed the S&P 500 ETF (SPY) by more than 5 percentage points. A handful of hedge funds were also right about betting on LDOS as the stock returned 23.5% and outperformed the market as well.